The global market for insurance analytics has gained momentum on account of the ease of administration and planning offered by structured and unstructured data within insurance. Insurance analytics has the capacity to bring a level of sophistication, lucrativeness, and order to the insurance companies. With constant changes in financial policies and regulations across regions, the insurance companies are compelled to use analytics to stay in control of thei operations. Hence, the demand within the global market for insurance analytics has been rising at a swift pace over the past couple of years. As companies and businesses become aware of the utility served by analytics, the market is expected to continually expand over the forthcoming years. The intense competition amongst insurance companies has been a driving force behind the growth of the global market for insurance analytics. Moreover, the customers of insurance companies do not stay loyal to one company for long periods of time, and this keeps the insurance companies on their toes to keep their customer base intact. The stringent regulatory framework for insurance companies also necessitates the adoption of insurance analytics.The need to recalibrate the business models of insurance companies has provided an impetus to the growth of the global market for insurance analytics. Moreover, the analytics help companies in finding pragmatic solutions to discrepancies and deviances that arise during operations. 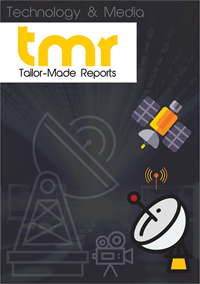 The report details an exhaustive account of the global insurance analytics market along with numerous associated factors. The factors included in the report are drivers, restraints, competitive analysis, latest trends and opportunities, geographical outlook, and many other aspects. The study covered in the report spans a forecast period from 2017 to 2025. From an overall perspective, the report is expected to exist as a valuable insight to businesses which are already operating in the market, as well for those who intend to newly establish themselves in the environment. The global insurance analytics market is mainly segmented on the basis of component, service, business application, deployment model, organization size, end-users, and regions. Based on component, the market consists of tool and service as key segments. Under service, managed service, professional services, consulting, deployment and integration, and support and maintenance, are prime segments comprising the global insurance analytics market. The business application criteria is divided into several segments such as claim management, risk management, process optimization, customer management and personalization, and others. Under deployment mode, the global insurance analytics market consists of two prime segments, viz. cloud and on-premises. The market consists of two segments again under the criteria of organization size, viz. large enterprises, and small and medium enterprises. Lastly, under end user, three prime segments comprise the global insurance analytics market: government agencies, insurance companies, and third-party administrators, brokers, and consultancies. This market is mainly being driven due to a large-scale adoption of decision-making process that highly depends on analysis of data derived from relevant insurance-based activities. Widespread advancements in analytical techniques is also responsible for significantly propelling the global insurance analytics market’s growth. Changing mindsets among masses regarding the need for proper insurance is another factor leading to an increased growth registered by the insurance analytics market. However, risk of security breaches through the programs used for carrying out analytical programs is hindering the global insurance analytics market’s growth substantially. Lack of skilled workforce mainly in underdeveloped and remote regions is also proving to be detrimental to this market. Improper integration of relevant systems in certain regions where less awareness about insurance analytics exists is posing as a key obstacle to the market’s expansion too. Nevertheless, many players are carrying out extensive research and innovation to develop better services in the market, which is expected to dilute some of the restraints acting on the market. This market is mainly spread across North America, South America, the Middle East and Africa, Asia Pacific, and Europe. Rapid advancements in cloud computing, data analytics software programs, and favorable government initiatives to spread awareness about the need for insurance are occurring in Europe and North America. Thus, these factors are highly responsible for making the market hold a leading position in this region. However, a rising awareness about the benefits of applying for insurance in Asia Pacific coupled with improving financial scenario is projected to make this region attract extensive growth in future. Most companies are adopting organic and inorganic growth strategies to grow in global insurance analytics market. They also are taking part in partnerships, collaboration, mergers and acquisitions, as key business strategies. The competition is expected to become highly intense as the number of players in the market increases. IBM, Verisk Analytics, Oracle, PrADS Inc., SAP SE, Salesforce, TIBCO Software, SAS Institute, Tableau Software, Vertafore, Applied Systems, MicroStrategy, Hexaware, Guidewire, Sapiens International, LexisNexis, Palantir, Birst, Pegasystems, OpenText, BOARD International, Mitchell International, QlikTech, Microsoft, and BRIDGEi2i, are key players operating in the global insurance analytics market.